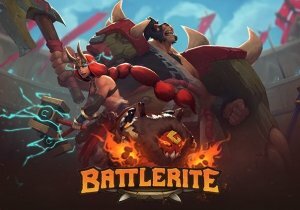 Stunlock Studios is proud to announce that Season 1 of their new PVP Brawler, Battlerite begins today! It heralds a variety of changes with it, such as the Sponsor Reward System which expands on the current daily quest system to allow players to follow specific reward paths (to unlock Champions, in-game currency and other specific rewards). Jamila, the Shadowblade Assassin also joins the game in this update, demolishing any who stand against her with her deadly shuriken. The top 200 in each region will be displayed on their Leaderboards as well, and players in League will have the ability to change their selected Champion in a pre-game lobby in accordance with enemy/team picks as well as matchmaking improvements. Battlerite now also has a unique application kit in VR called ‘CamCrew’. This feature allows players to watch live matches and replays in VR and also control the camera movement in full 3D in order to produce stunning cinematic shots for streaming or render to video.